How to check Postfix’s email queue and delete it . On this post you can check the messages in the postfix queue. the above commands display all queued messages (Not the message itself but the sender and recipients and ID), The ID is particularly useful if you want to inspect the message itself. NOTE: This perl script seems to be free, and is all over the internet, i could not find out where it originates or who wrote it. Independent researchers tracked down malware sent to a Middle Eastern human-rights activist and alerted Apple, which patched three separate zero-day exploits. Apple released an update to iOS 9 on Thursday—iOS 9.3.5—that patches multiple critical zero-day vulnerabilities that have been shown to already have been deployed, allegedly by governments to target activists and dissidents, according to a report from Citizen Lab and Lookout Security. 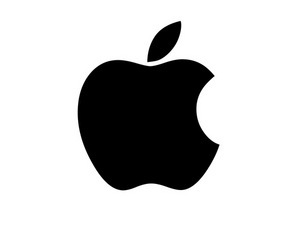 Apple turned around an update within 10 days from when the company received Citizen Lab’s initial report. The update is recommended immediately for all iOS 9 devices. Some of the exploits may have been discovered months ago or longer, so there’s no way to know how widely they’re in use, but details suggest these active exploits in previous versions of iOS 9 weren’t in wide use and were deployed against individual targets. Jailbreaks have been demonstrated but not yet released for iOS 9.3.4, and it’s possible those jailbreaks relied on one or more aspects of the three flaws now patched. To install the update on your iOS device, launch the Settings app, then tap General > Software Update. You also can update within iTunes with your device connected to your Mac. How to increase session timeout in php? Sometimes php session timeouts quickly before your script execute. You can increase this time by simply editing some directives in php.ini. Running that script will add cPanel’s repo file and make sure the plugin is up to date, which will add it as a provider to the AutoSSL feature introduced in 58. If you want to enable it after you add it to the server, you will need to do so from WHM. Certificates that Let’s Encrypt™ provides can secure a maximum of 100 domains per virtual host. AutoSSL will not attempt to replace pre-existing valid certificates that expire in more than three days. 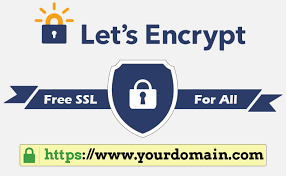 This affects Let’s Encrypt’s limit of 20 certificates per week that may contain a domain or its subdomains. Select the desired AutoSSL provider. Select disabled to disable this feature. If you need to reset your registration with the AutoSSL provider due to security issues, select the appropriate checkbox to agree to those terms and click Reset Registration. Users must use a package that includes the autossl feature to receive the free certificates. For more information about feature lists, read our Feature Manager documentation. To set the feature on all domains, click Enable AutoSSL on all users, Disable AutoSSL on all users, or Use Feature List for all users. To set the feature on multiple domains, select the appropriate checkboxes and click Enable AutoSSL on selected users, Disable AutoSSL on selected users, or Reset AutoSSL for selected users. Enable AutoSSL — Override the user’s Feature List settings to enable AutoSSL. Disable AutoSSL — Override the user’s Feature List settings to disable AutoSSL. Reset to Feature List Setting — Allow the user’s Feature List settings to determine whether AutoSSL is enabled or disabled. Because the system adds the /etc/cron.d/cpanel_autossl cron daemon task to schedule the automatic provisioning of certificates, you may experience a delay between when you enable the feature and the installation of certificates. The interface displays the next time that the script will run. AutoSSL will attempt to renew its provided certificates when they expire within 29 days. However, due to rate limits, AutoSSL prioritizes new certificates over the renewal of existing certificates. The system restarts Apache after AutoSSL provisions and installs certificates for all accounts during a nightly run. Click Run AutoSSL for all users at the top of the interface to run the AutoSSL feature for all users with the feature enabled. To run the AutoSSL feature for a single user, click the user’s Check button in the Run AutoSSL Check column of the table. How do I revoke a certificate? Let’s Encrypt won’t issue a certificate for a virtual host list (website). Let’s Encrypt will only issue a certificate five times per week to a specific set of domains before it blocks any further certificates for that set of domains. To work around this rate limitation, create an alias to a domain in the virtual host list (website) so that Let’s Encrypt interprets the virtual host as a new set of domains. 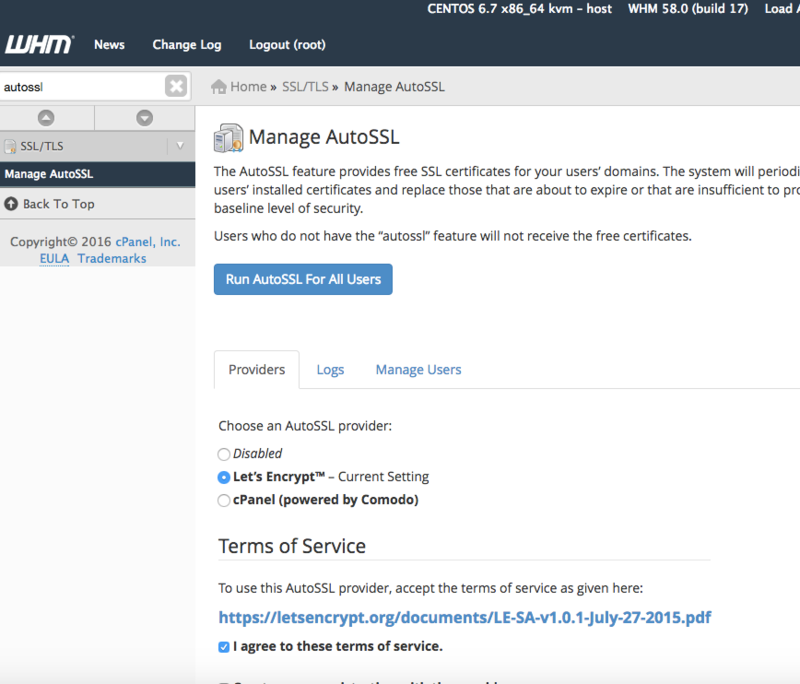 Is Manage AutoSSL available for cPanel & WHM version 56? That version of cPanel & WHM does not support deferred Apache and Dovecot configuration restarts, which results in unacceptable downtime and a poor customer experience. As such, we will not make the plugin available for version 56. Hostripples has dependably looked into as best by numerous customers as hostripples has dependably furnished with the best the keen elements and quality administrations and our arrangements are beginning from the reasonable cost $1/month. At hostripples.com you will locate the best mix of minimal effort and dependable web facilitating administrations with Unlimited Disk space, Unlimited Bandwidth and Quality Services, a SLA Backed 99.9% Uptime Guarantee, cPanel Control Panel, Stable non-oversold facilitating situations, more than 300+ free php scripts, Unlimited elements which incorporates Unlimited email accounts, FTP accounts, Databases, area names and ofcourse best 24×7 live backing by means of visit and ticket framework. Every one of our arrangements are planned such way which will without a doubt help to customers to satisfy their necessity additionally our administrations are demonstrated best because of best uptime which we have given subsequent to 2010. In this way, it ought to be the best arrangement in the event that you could allow us to serve and which will help us to make the long lasting relationship. How come Online Business Is Successful Than Offline Job ? Money is everything and in order to earn it up we do a lot of things. That 9-5 and overtime job is something which never let us live our life in a better way and always be very frustrated. Yes, working under tough and frustrated boss can easily take your life and makes it miserable, thus, better thing about something via which you not only earn money, but also earn complete peace of mind. Have you ever heard about internet business? Well, today from a college student to a retired old person is doing the same and earning an amazing amount of income. Yes, it is possible and don’t worry here you don‘t need to spend a lot of money to establish your business over the net. Anyone can do online business as per their knowledge and skills, thus, just check out your calibre and accordingly you can start your business without any hassle. If you don’t know anything and don’t have great skills and knowledge, you can start your business by working for other various firms. Yes, most of the firms offer easy to complex work to the people who can invest their time in accomplishing the task. Here we are talking about data entry jobs, virtual assistance and other sorts of jobs which are very easy and you will be properly trained for the same. Apart from this, if you have great skill and talent which you can use to make up the best business, better think about the same and ready to have your own website. Yes, most of the people love running various businesses, like- Online training program, online products selling, writing services, IT services and other lots of things which make them rich soon. For running your business, promotion is necessary and for the same, it is necessary to have a great website, which later can be promoted. For having great website, you should think about purchasing $1 Hosting using the only source that is- Hostripples Canada and this will help you to run business without spending much. Yes, just $1 per month and you can have your own website which later can be promoted using great techniques like- SEO, PPC, SEM, ORM and various others. Once you will get in touch with $1 Unlimited Hosting picking up right hosting source, you will get free website builder along with free domain services to build up your online business so quickly and easily. So, if you haven’t tried it out better do so and you won’t be disappointed at all. An Apache based Performance booster plugin for Cpanel Servers. ApacheBooster is an integration of nginx and varnish. Apachebooster caches both the static and dynamic contents which help the web server to serve the content from the cache everytime it is requested. Apachebooster is a Cpanel featured plugin and serves as one stop solution for boosting apache performance in cpanel servers worldwide. ✔ Changed nginx embedded vhost template to perl template toolkit. ✔ Updated /scripts/generate_varnish_conf script to fix the varnish IP address conflict. ✔ Option to disable/enable apachebooster temporarily. In this version, customers have the ability to customize nginx vhost config template as per their needs. New nginx vhost config template file can be found in /var/ApacheBooster/templates directory. You can use the below commands to disable or enable ApacheBooster, this will be helpful for administrators to troubleshoot some apache and php related issues. Information on cPanel’s security ratings is available at Security Levels – cPanel Knowledge Base – cPanel Documentation. The latest public releases of cPanel & WHM for all update tiers are available at Downloads | cPanel, Inc.. Please update your installation to the latest version. * Some installations have yet to upgrade to v6. As a result, we are providing a backport patch for v5.3.14. It is important to remember that v5 is no longer supported. Future security and important maintenance issues will not be patched. We strongly encourage anyone running a version outside of Long Term Support (http://docs.whmcs.com/Long_Term_Support) to upgrade as soon as possible to ensure the performance, accuracy, and security of your business. The security changes for the v6.2 release address 2 issues, both of which were reported via the Security Bounty Program. The security changes for all other releases address 1 issue, which was reported via the Security Bounty Program. The v6.2 release also provides resolution for 1 maintenance issue that affected upgrades of EOL versions of the product. All versioned releases also contain the previously released update for the Kayako Loginshare and is provided for completeness. All published and supported versions of WHMCS are affected by one or more of these maintenance and security issues.